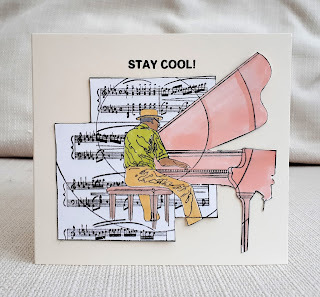 Marina's cool card was based on a book about Jazz pianist, Oscar Peterson! Her stamp is perfect for the subject and we loved the configuration of it in concentric circles. She has chosen cool colours to present it and has trimmed it out in a cool way as well. In fact, it's just cool all over! 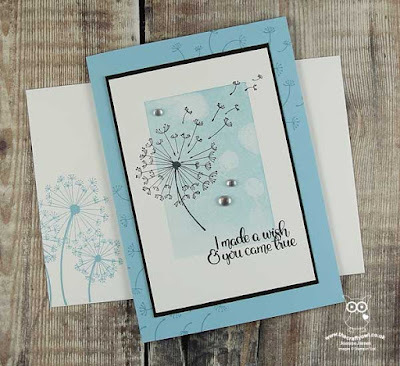 Joanne's lovely dandelion creation is the epitome of back to basics, the proof that you can make a beautiful card with just stamps, ink, paper, trimmer and a small embellishment. 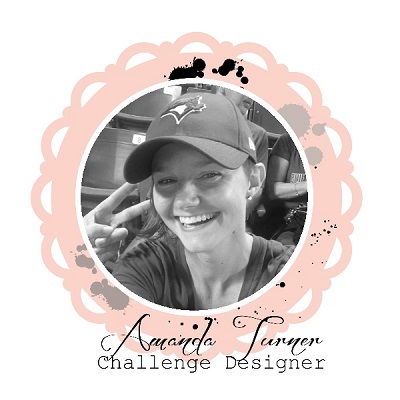 The Design Team was unanimous in their admiration of the colours and the background details and the soft bokeh effect! Well done, Joanne! Thank you!!!! What lovely things you've said about my card. Congrats to Joanne on your beautiful dandelion card.